David Martin's goalkeeping howler gifted James Hanson his 10th goal of the season as Bradford beat MK Dons 1-0 at Valley Parade. 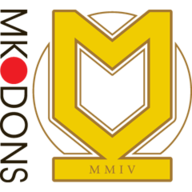 The Dons were so hard-hit by injuries that they named just four substitutes, among them striker or winger Sanmi Odelusi, who signed on loan from Bolton 24 hours earlier and left the bench 11 minutes from the end. 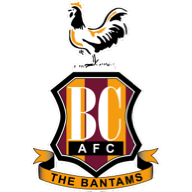 Bradford were indebted to Stephen Darby for a 26th-minute goal-line clearance from Izale McLeod's angled shot but Hanson was unfortunate twice in a four-minute spell. First his overhead shot was inches too high. Then he rattled the crossbar from just outside the box. The Dons dominated possession in the second half, with 17-year-old midfielder Dele Alli showing rich promise, but Bradford defenders Stephen Darby and Andrew Davies were outstanding and when Martin made his mistake Hanson made him pay.